The cabin, situated on a full city lot (1/3 acre) is conveniently located on the northernmost alley or parkway within the Yellowstone gateway town of West Yellowstone, Montana. This is a bustling and vibrant resort community, especially in the summer months, the town itself is only one mile square. Walk to the market, dining, shopping & entertainment, hiking & biking trails are steps away from the cabin. Visit the IMAX theater which now plays first run movies and spend some time next door at the Grizzly & Wolf discovery Center. Area Activities ... Fly fishing world famous waters, boating, horseback riding & hiking on the many nearby trails. White water rafting & golfing in the Big Sky area, 45 minutes north. Guided nature tours & ranger talks in Yellowstone. 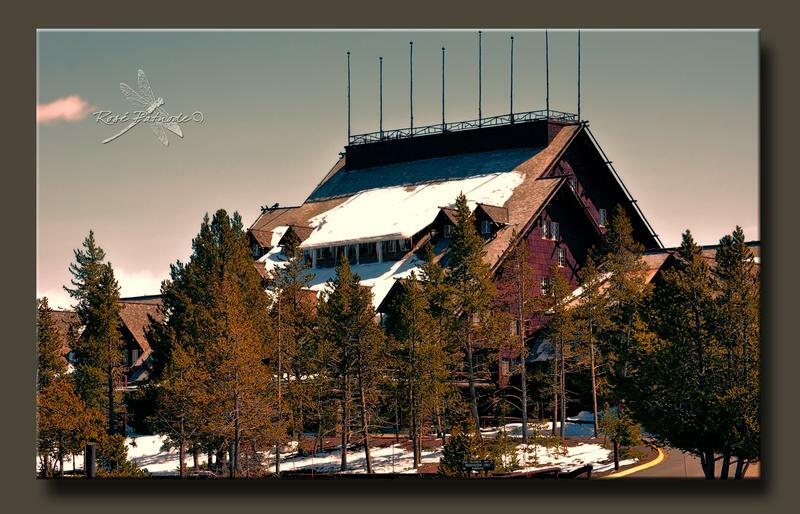 In the winter months, snowshoeing & x-country skiing on the renowned Rendezvous ski trail & throughout the area. Snowmobile in & around Yellowstone, Montana & Idaho or take a snow coach tour into the Park. Enjoy the wildlife of Yellowstone, moose, bears, bison, fox, wolves and coyotes to name a few. Travel over the hill into Island Park, Idaho to view beautiful scenic Mesa Falls and Big Springs, home to moose, otter, trout and a wide variety of bird species. The owners, that would be us ;) live on the back of the property which works out well should a guest have any questions, we are here to help and will greet you upon your arrival. Thanks for your interest and we hope to speak with you soon regarding your Yellowstone vacation. 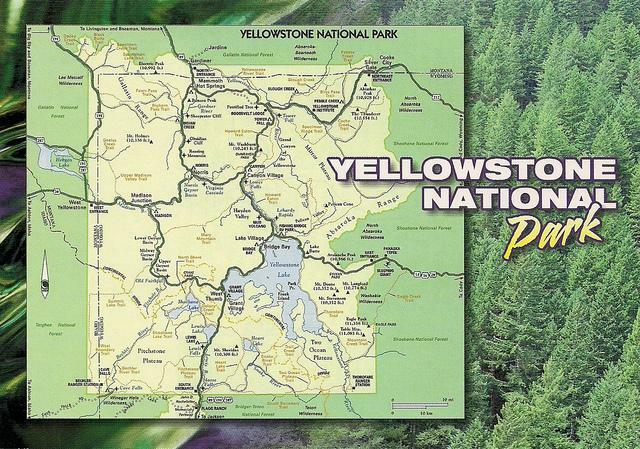 WYS provides the most convenient gateway to Yellowstone National Park and the area’s unique attractions. Rental cars are located at the airport and abundant lodging options are available throughout the region. Numerous airlines transfer in Salt Lake City to Delta Airlines flights. This means you can leave home in the morning and be catching fish or watching Old Faithful Geyser by early afternoon! Yellowstone Airport—located two miles north of West Yellowstone, MT, on Highway 191—is owned and operated by the Montana Department of Transportation Aeronautics Division. The Grizzly & Wolf Discovery Center is an AZA accredited Not-for-Profit, wildlife park and educational facility. 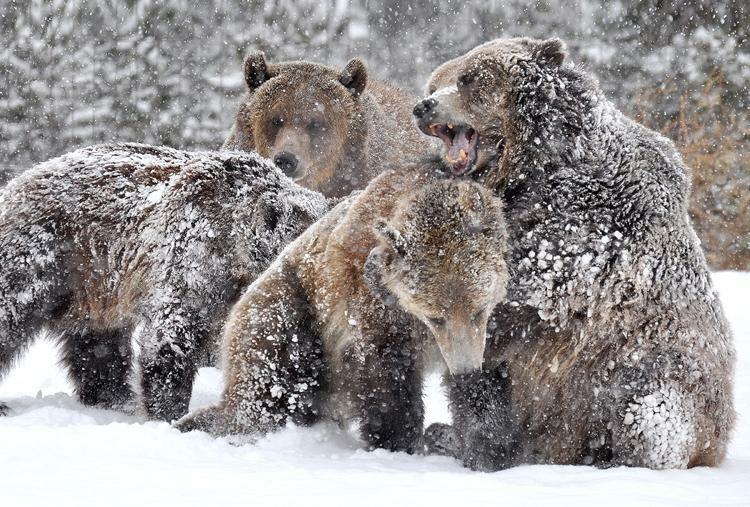 The Center offers every visitor to Yellowstone a chance to uniquely experience the world of grizzly bears, gray wolves and raptors. All the animals at the Grizzly & Wolf Discover Center are unable to survive in the wild and serve as ambassadors for their wild counterparts. Admission is good for two days so you can venture back to view the wonderful characters that reside there at your leisure. 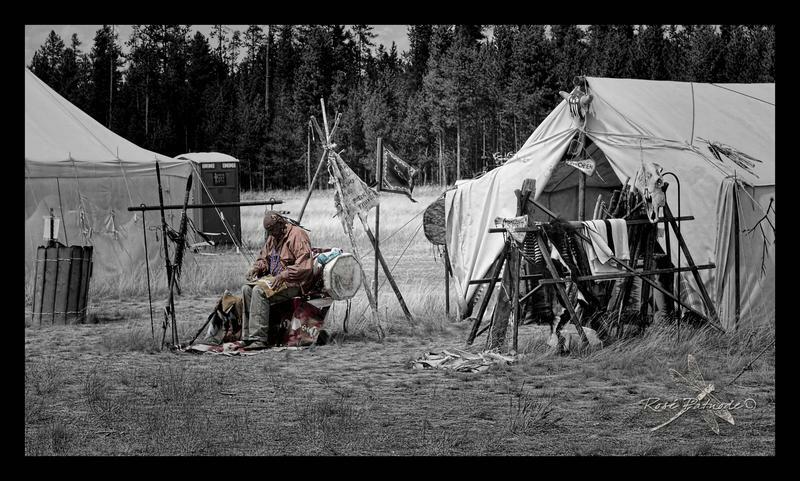 The creation of Yellowstone National Park in 1872 caused a stream of visitors from around the world - journeying by various means- to come to Yellowstone for the transforming experience of "Wonderland." 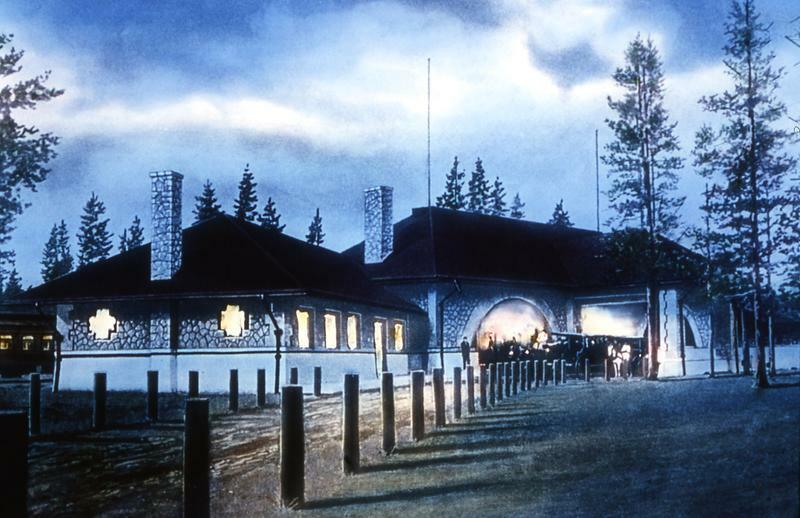 In the context of transportation and history, the gateway town of West Yellowstone has the largest and most intact historic railroad complex built specifically to serve these national park visitors. Yellowstone National Park is the flagship of the National Park Service and a favorite to millions of visitors each year. The park is a major destination for all members of the family. By driving the grand loop road, visitors can view the park from the comfort of their vehicle and also take a rest at one of the many roadside picnic areas. For the active visitor, the park has thousands of miles of trails from day-hikes to backcountry explorations. The main attractions are all located on the grand loop road and here are some of the top reasons to visit the park. 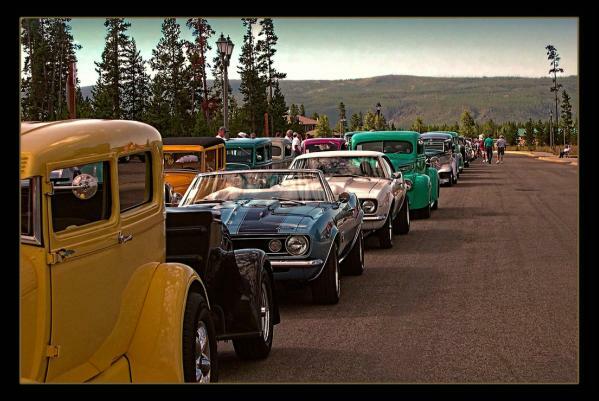 The August Rod Run event annually draws four to six hundred street rods and classic cars from all over the United States.Over 90 sponsor trophies awarded, giant raffle, and poker ride for participants ALSO a Yellowstone Park cruise. Rod run enthusiasts from all over flock to West Yellowstone, Montana, where A festival atmosphere prevails during this popular 2 day event. Marvel at the details, unique and shiny paint jobs on these vintage classics parading through the center of town to Pioneer Park where t he Show and Shine event is the highlight of the day! Spectators will enjoy seeing Model T's, Muscle Cars, Chopped Rods, Cadillac's, Delivery Vans and fancy old cars with even fancier hood ornaments. Enjoy LIVE music, food, beverages and more!